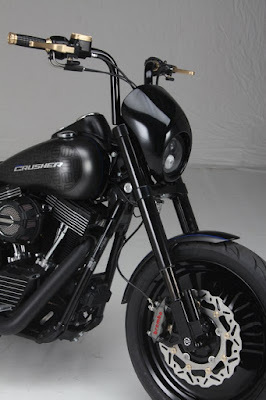 Ottodicuori Upside-Down forks for Harley-Davidson Dyna, Sportster, Softail and Touring models. 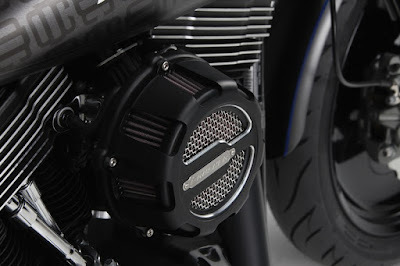 Twin-Cam Re-Styled: Italian CNC specialist Ottodicuori creates a new look for Twin-Cam motors. 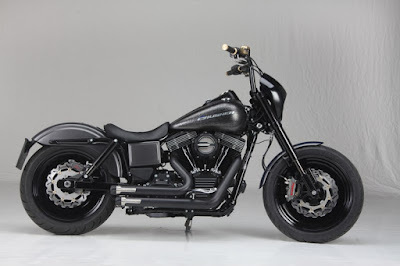 One of SIX extraordinary Design-bikes to introduce the stylish OTTODICUORI Harley-Davidson parts, the „Dyna Crusher“ is the only „crossover“ preject bike between US-based performance parts manufacturer „Crusher“ and Itaian top design parts manufacturer OTTODICUORI, who are in the CNC motorcycle parts business for more than a decade. American/Italian cross-over project by ODC & Crusher Performance. 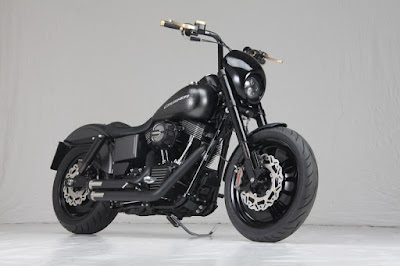 Dyna-Crusher FXDB Street Bob „Italian Style“! Aermacchi singles closed Harley-Davidson‘s „model gap“ in the 250 an 350 class – and it never ended: In fact the American-made V-Twins have dedicated followers in Italy – and numerous Designers work on the future of the V-Twin: OttoDiCuori is one of them! Based in Vanzaghello, west of Milan, in the industrial „heartland“ of Italy, CNC specialist Ottodicuori surprised this years MOTOR BIKE EXPO crowd at Verona with a bold attempt, presenting no less than six ODC-equipped Harley-Davidson’s of the latest model year, introducing quite a number of very interesting parts that change both the look and the riding performance of the bikes. The 2015 FXDX „Street Bob“ is one of the six, yet it is also the only one that has been customized as a co-operation with the 2015 introduced „Crusher“ exhaust brand. ODC had been working and machining for customparts distributors and manufacturers for quite some time, now their own program is extended and highlighted. 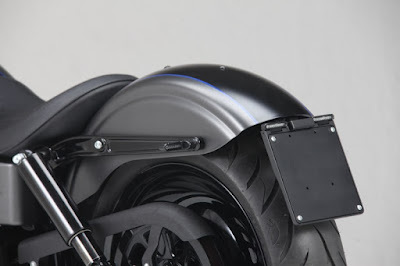 Numerous ODC parts are used in the creation of this bike, ranging from indicators, controls, pedals, numberplates to air filter and covers. 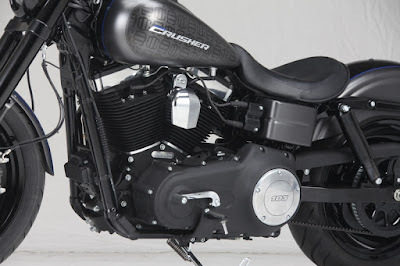 Standing out prominently are the very stylish cylinder head covers, which certainly can change the look of any given Twin Cam motor and can be used for quite a number of different styles. In times of sometimes excessive branding, ODC has choosen not to print their name onto every corner oft he product, thus giving the „design“ the priority over „promotion“. A welcome factor when customizing individual rides – as so often in Italy, the design speaks for itself. And works for itself too! 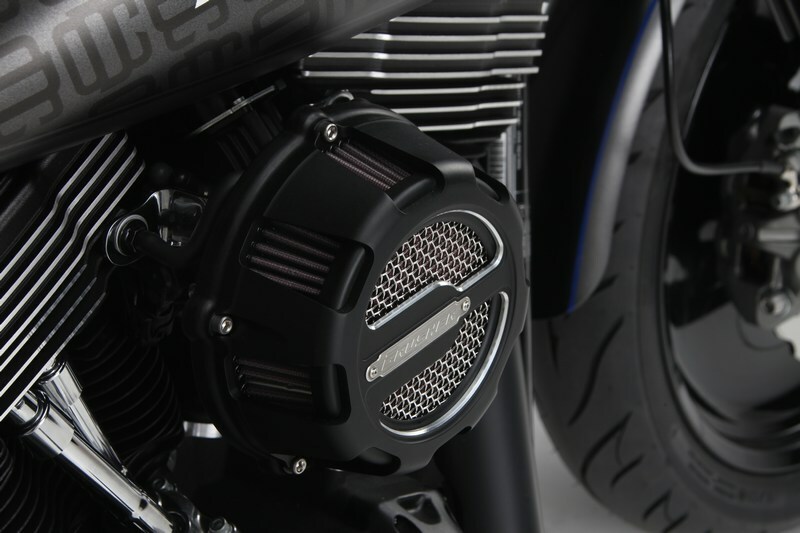 Fitting Cam Cover underlines the machined fins on the top ends front and rear – and the air filter also works. Another highlight on the FXDX ist he ODC manufactured Upside-Down fork which is adding tot he „dark look“ and is also available in a version for Touring/Bagger-type motorcycles! Check out the Brembo calipers on both sides and you know this bike means business! Superb Italian design and outstanding riding performance come together in the stylish Upside-Down forks of Italian CNC-Specialist OTTODICUORI (ODC). Introduced for the 2015/16 customizing season, the forks have already been used by a number of top customizers, including Germany‘s Master-Customizer Fred Kodlin, who has equipped several of his high-end Big Wheel Custom-Baggers with the ODC Upside-Down front ends! 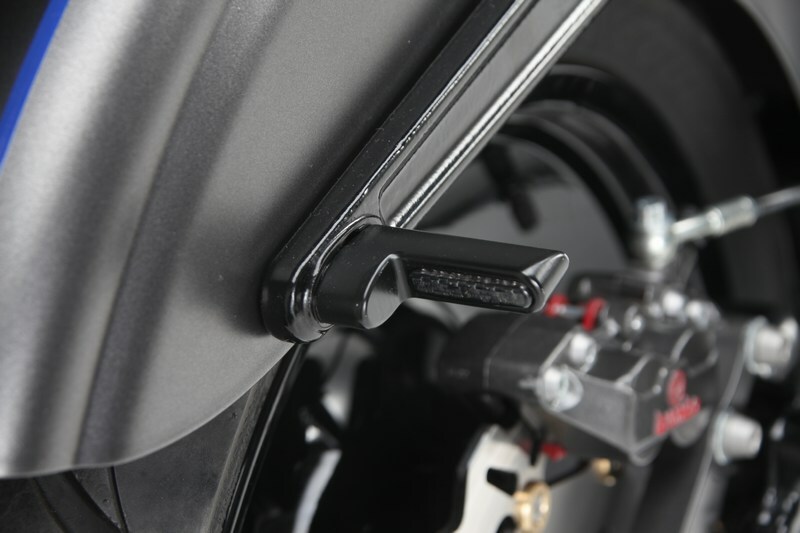 The ODC manufactured front ends are now available for Touring, Dyna, Softail and Sportster (2008-up) models, covering almost the complete Harley-Davidson model line. Depending on the model line, several options are available: For Sportster, Dyna and Softail forks, fork width can be selected as Narrow (195) mm), Mid (220 mm) and Wide (252 mm) size, single or dual brake caliper mountings allow „Bolt-On“ use of OEM calipers or aftermarket exchange parts. Both „Touring“ Upside-Down forks, the standard and „Milano“ version can be ordered for Bagger-style motorcycles 23, 26 and 30 Inch wheels, marking the only high-performance Upside-Down fork worldwide to be utilized for „Big Wheel“ Baggers! 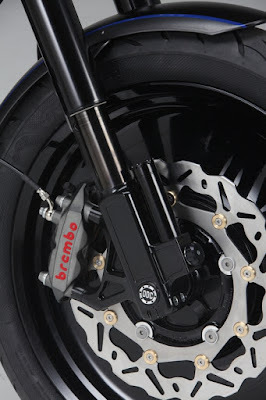 The www.ottodicuori.it website lists all options for fork and rear suspention, as well as numerous interesting Billet-Designparts available from ODC. 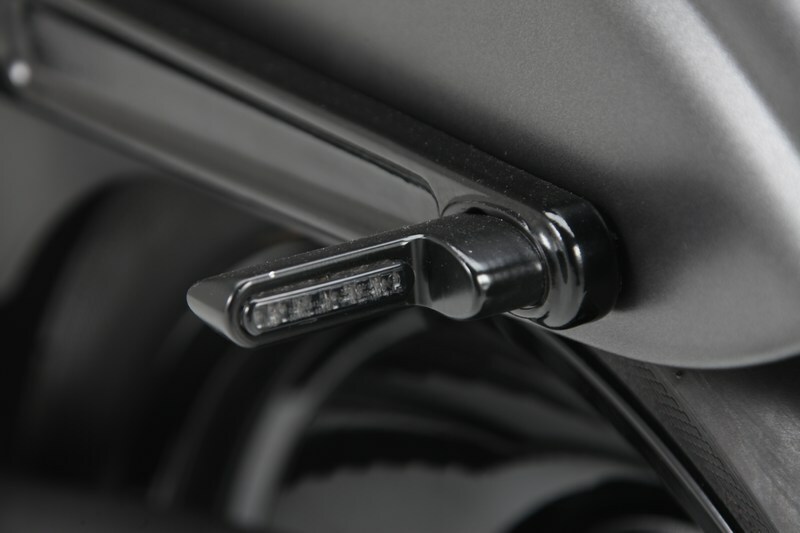 International distribution will also be performed by Custom Chrome Europe, who are currently integrating the parts into the 2017 catalogue, but do have the parts available in the online catalogue.